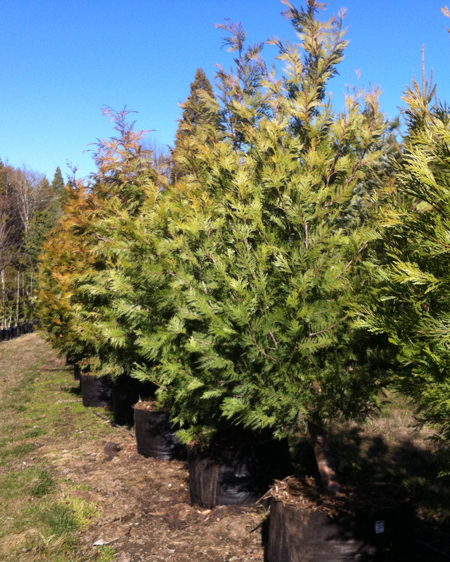 This beautiful evergreen conifer grows to 75-90ft, but can be sheared for hedge or topiary purposes. Its natural form is conical with spreading branches and flat sprays of rich, dark green leaves. Under some climatic and growth conditions, it has a more columnar form. New growth and woody cone buds (which resemble a quacking duck head give it a golden haze in late winter and early spring. Birds love these under-used, but very choice native trees. Plant them as specimens, for windbreaks, to create a screen, or as part of a woodland. They grow best in sun and well-drained soil, with ample water until established. 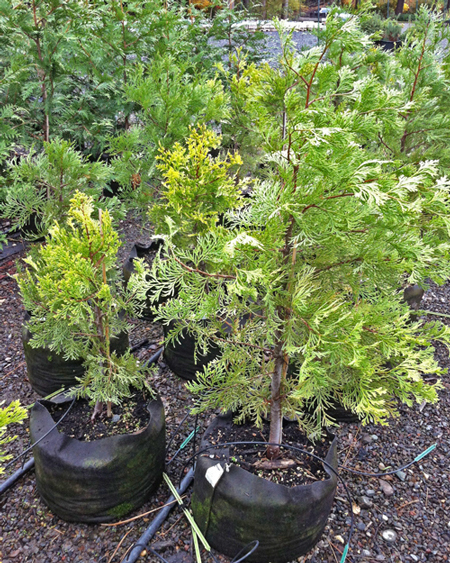 Conifer Size 1 gallon2 gallon3 gallon5 gallon5 ft.12 ft.